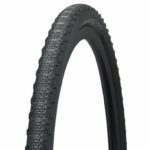 Ritchey Speedmax Cross Tyre 700x40c - ADVNTR. Still a young buck or a bit long in the tooth? The design is well tried and tested. 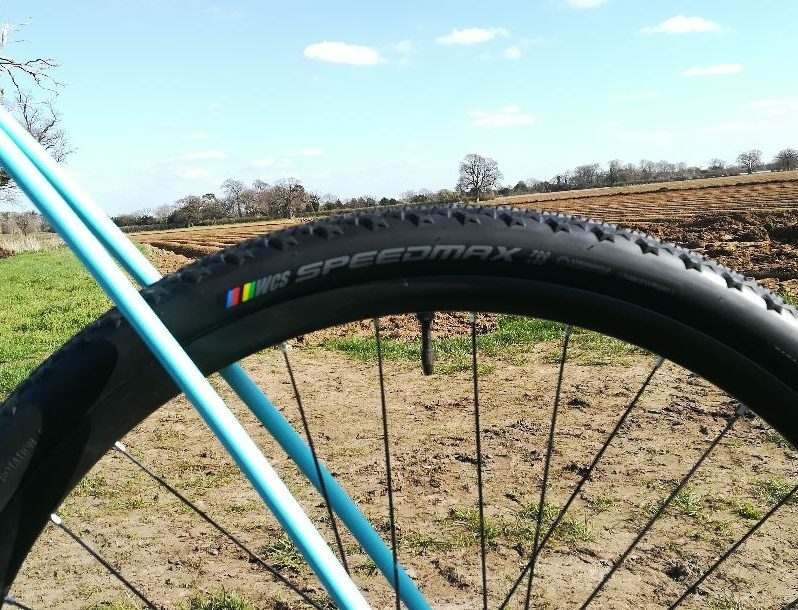 The Speedmax Cross profile is however, hardly the new kid on the block, I was interested to try it and see whether it is still relevant to the world of gravel, or past its sell by date? 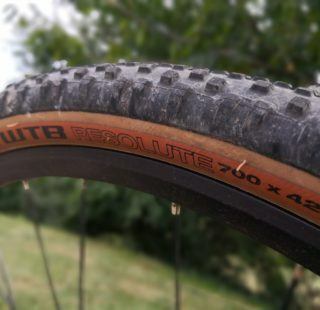 I tested the 700x40c WCS, Tubeless Ready variant with “Stronghold Reinforced Casing”. When these arrived I was on the look out for something different. I have plenty of ‘fast’ summer tyres floating round the workshop, but none of them have really made the grade. As well as speed, I want good performance in sand, and grip for fast cornering in the loose, or for off camber trails. 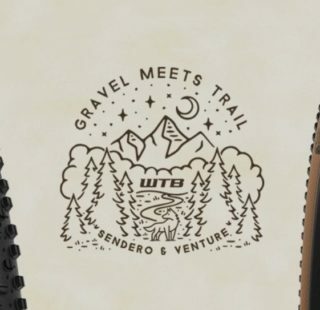 This is primarily because our local (and not so local) trails turn to sand in the summer, and there is plenty of off camber stuff too. Many tyres meet some of my ‘must haves’ but few manage them all. While the trails are in a state of transition (not all of them have turned to linear sandpits yet) this was a good opportunity to see how the Speedmax might fare in drier conditions. As well as all the above, my “Moon on a stick’ requirements include durability. We have said it many times, but it bears reiterating that Suffolk trails eat tyres. They rarely get a chance to wear out, and normally bite the dust because they have been torn to shreds. Flint micro daggers ruthlessly, and relentlessly, expose any weakness in a tyre. 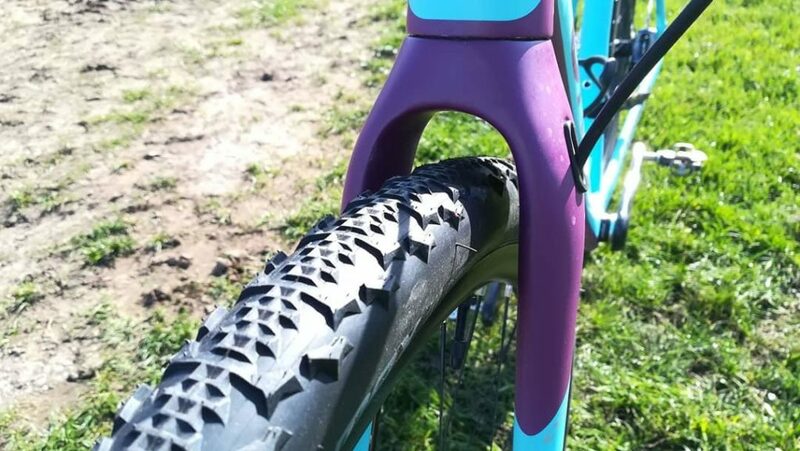 Tubeless or not, rides are often brought to a halt because of slit casings. So how did the Speedmax do? I did not weigh the tyre. It was certainly not heavy and I am not a fan of stupidly light rubber anyway, it just doesn’t last. 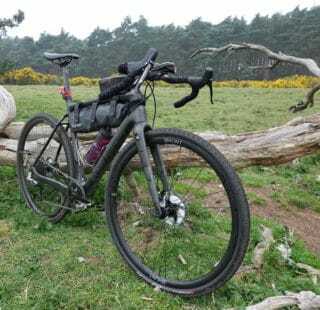 Furthermore, I am not sure weight is particularly relevant on a gravel bike anyway. Mounting the Speedmax on a pair of carbon, no name, Chinese rims was a breeze. They slipped on like a pair of gloves with little, if any, persuasion. Inflation was simple. They went up first time with just a track pump, and seated at about 60psi. Once the sealant was introduced they stayed inflated. I did not have to pump them up next morning and simply went out for a ride. There was a slight buzzing on tarmac but nothing that would drive you to distraction. They were however, a bit draggy and, compared to the Schwalbe G Ones, felt quite a lot slower. Off road, they unsurprisingly came into their own. Performance in the sand was fine. Even in deep sand I simply ploughed through without hesitation or deviation! Off camber they gripped very well and I have no complaints at all. Once again though, I was noticeably slower than on G Ones or even the venerable WTB Nanos. Still, I was happy to trade a little speed for the level of grip they provided, which was excellent. A few weeks in and they have stopped holding air. Despite the reinforced casing, they have simply become another victim of East Anglian flints. After a concentrated session checking the casing, I removed several tiny shards of flint that had remained embedded in the rubber and which opened any bung formed by the sealant. The tyres have stayed inflated for a while, but on balance they seem rather vulnerable. I have to reiterate that Suffolk is particularly harsh on rubber. Tyres that last forever in other parts of the UK, routinely give up the ghost when introduced to the Brecks. Within the context of our local conditions then, the Speedmax has been found wanting. 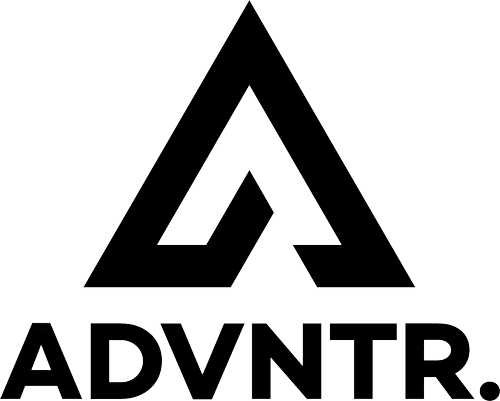 There is no reason to think they would not be much more durable in a less severe environment. I can only base my review on my experience hence my less than wholly positive review. Recommended retail price is £66.00 an end. 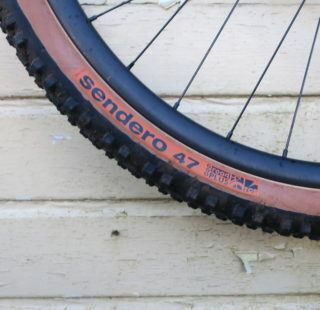 This is a lot to ask for a tyre that is good, but ultimately OK, but not that great. Slower than I would like but lots of off road grip, and ultimately, that is what counts. The score reflects the price and the fact that (for me) they seem to spend more time deflated than ready to go.